Today my first children’s novel was published. 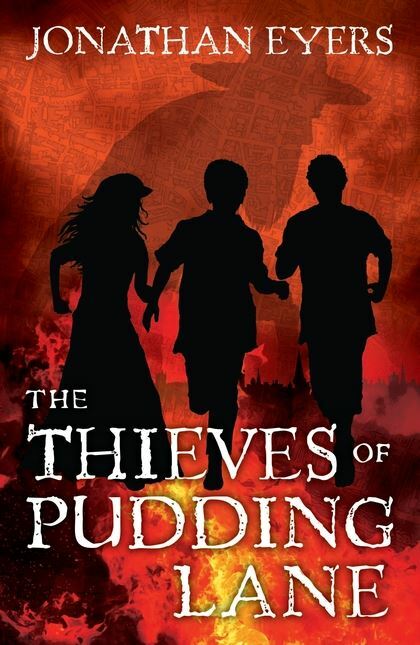 The Thieves of Pudding Lane is the story of Samuel and Catherine, two children orphaned by the Plague in 1666. When the Great Fire of London breaks out they become involved in a plot to rob the abandoned houses of the rich, but when the gang of thieves discovers a lost little boy hiding in one of the houses, it is split over what to do with him. The book is a fast-paced historical adventure aimed at readers 9 to 12. I first had the idea for The Thieves of Pudding Lane in 2004, so it really has taken a decade to make it to the bookshelves! The concept came to me whilst watching a documentary about the Great Fire. When one of the historians mentioned that the richest people in London left a lot of their most expensive belongings behind, I wondered whether anyone had taken advantage of the opportunity to help themselves. The title came to me instantly. I didn’t spend 10 years writing it, of course. I made my first attempt back then, but it ran aground pretty quickly. After a few chapters I realised it wasn’t working. Maybe the idea wasn’t that good after all, I thought. I had this thought several times over the next few years, and gave up on several drafts. Each time I went off for another year or so and worked on many other ideas, and even published three non-fiction books in the meantime. But the idea just wouldn’t go away. In 2011 I thought I would give it one last shot, finally get it out of my system once and for all. And now it’s been published. Really, though, the seeds for The Thieves of Pudding Lane were sown when I was the age of my intended readers. When I was that age I loved disaster movies (secretly I still do). My favourites were The Poseidon Adventure (about a cruise ship that is turned upside down by a massive wave) and The Towering Inferno (about a massive fire that breaks out in a skyscraper). They’re entirely made up, of course, whereas my book is based on a real-life disaster of epic proportions. You can buy The Thieves of Pudding Lane (RRP £5.99, ISBN 978-1-4729-0318-1) through all good bookshops or online retailers, including Amazon . I’ll never forget the first time I got a bad review. That particular book was due to be published the first week of January, so the day after Christmas I decided to check Amazon to make sure there was nothing amiss. They must have started releasing stock early. This review wasn’t just negative, it was halfway towards being a character assassination. Or so it felt at the time. Soon enough, however, I realised that the reviewer wasn’t my mortal enemy, the book hadn’t really ruined their Christmas and the review wasn’t really about me. The thing is, no review is actually about the author – unless they make it about them. If you get a good review then that doesn’t mean the reviewer wants to be your new best friend. It just means they got something out of your book – and enough to take the time to write a review. How great is that?! A bad review, meanwhile, just means the book wasn’t right for that reader. It’s about them, not you. So don’t take it personally. Have you liked every book you ever read? You have splendid pre-judgement if so! Myself, one of the worst books I have ever read went on to be selected by various esteemed publications as their book-of-the-year a few months after I sent it packing to the charity shop. It wasn’t one of the worst books those people had ever read. It just wasn’t for me. Pick any literary classic at random and then check out the reviews on Amazon. You’ll find plenty of one-star reviews for every single one. One of my favourite novels is Les Miserables, but there are plenty of damning reviews on Amazon of the ‘it wasn’t anything like the film’ variety. I like the film (the musical with Hugh Jackman is better than the straight adaptation with Liam Neeson too, if you ask me), but it cuts out most of the first 200 pages of the novel and covers the rest of them in a couple of songs. I doubt Victor Hugo is spinning in his grave because of those reviews. And if you get a review that seems just as ridiculous to you, you shouldn’t let it bother you either. Because it is still nothing to do with you. You don’t have a right to be liked. You are not entitled to receive unanimous praise and ceaseless adoration. That you sweated blood and wept until the marrow was wrung from your bones over your story is ultimately irrelevant. You can’t please everyone. Nor should you try. Your one and only goal is to write the best story you can. If people like it, great. If they don’t, that’s their problem. Rudyard Kipling referred to both triumph and disaster as ‘impostors’ in his poem If (a great poem for all writers). Treat them just the same. Spend your time working on writing the best story you can rather than responding to people who didn’t like the last one. It’s not like you’re going to change anybody’s mind by shouting at them, is it? That doesn’t mean you should ignore good advice or bury your head in the sand, of course. But you have to develop a filter to recognise good advice when you see it. There might be some value to what critical people say about your last story. If so, see how it can help improve your next one. A bad review can still be a good learning experience. And if you’re incapable of having that level of ex post facto objectivity, then there’s only one solution – don’t bother reading any reviews at all. At all. Unfortunately there are some trolls out there, people who like nothing better than tearing people down. It seems quite inexplicable behaviour but there’s not much you can do about them. Certainly don’t stoop to their level. They want to get a reaction. Ignore them and they will probably get bored and move on to their next target (there probably will be one, alas). Meanwhile, you should be writing the best story you can and when it finds the right readers you won’t have to worry about the odd bad review from the wrong ones. Fog-clogged alleys. Carts drawn by horses down cobbled streets. Hungry orphans and ragged beggars dependent on charity. Gas-lit houses playing home to all manner of vice. A killer stalking the city’s shadows, cutting out the hearts of his victims. 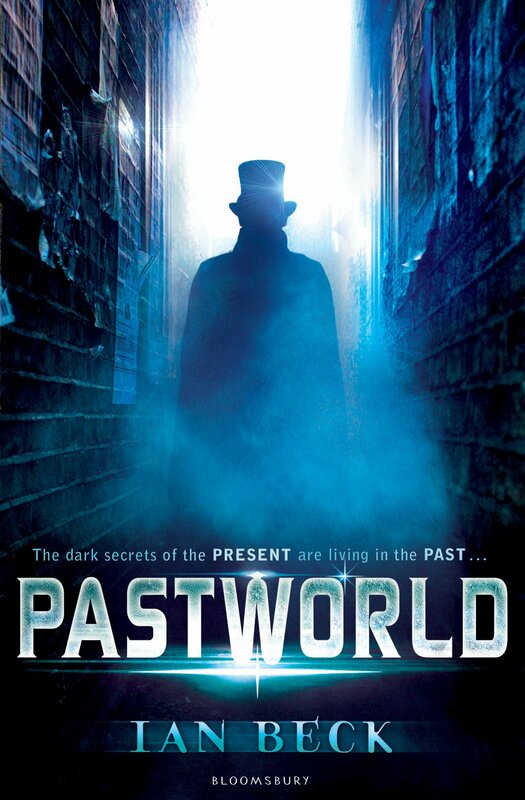 The Victorian London in Ian Beck’s Pastworld is almost a pastiche of all the usual tropes, but that’s the point. After all, it’s not really Victorian London. The omnipresent fog is pumped in by machines. A few decades hence, London is no longer a city, it’s a theme park, and a theme park knocked back 150 years. The problem is, most of the people who live there don’t know that. They don’t understand why strange people (whom they call Gawkers) stand and stare at them just going about their daily lives. The Gawkers are, of course, rich tourists from the real world, and at the beginning of the novel that includes teenager Caleb and his dad. Caleb’s father has come to Pastworld with an ulterior motive, but Caleb doesn’t find out what. Ambushed in the fog, his dad is kidnapped and a seemingly random stranger is killed. Caleb is left holding the knife. Pursued by the law (which still has the power to hang murderers here, simply for authenticity’s sake), he has to clear his own name whilst also finding who captured his dad – two goals that may lead to the same place. His quest brings him into contact with a girl called Eve, who has lost her memory, and who may not truly belong in Pastworld either. The book did start to go a bit off the rails in the middle, however. The plot slows down to a domestic pace whereby Caleb gets embroiled with a séance-faking conman and Eve learns how to walk a tightrope in a circus. The serial killer with a secret, known only as the Fantom, shows up to stir in some excitement, but neither Caleb nor Eve are there to be suitably stirred, so there’s a feeling that the action is happening away from the main characters, and only witnessed by the minor ones. There may be too many characters for the plot and too many mysteries for the book’s length, but Ian Beck rescues everything during the fast-paced finale, where all the many strands he has laid out get woven together. I daresay he had enough material for a whole series of books, so it’s a pity he only got one, really.